Typically, each highly stressful year that you withstand takes about five years off your lifetime. 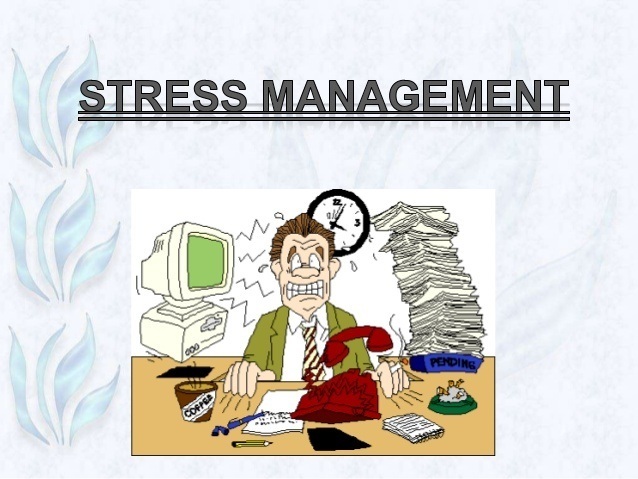 That’s why stress management is something very important that we should learn and practice in our daily lives. Many people going through high stress have been assessed to lose their telomeres faster than normal. Telomeres are the caps at the end of your DNA strands that keep them from fraying. You gradually lose these telomeres as you get older, yet stress can accelerate the process drastically, effectively leading to your body to wear out a lot faster. In this situation, stress is probably the feeling that you do not have a lot control over your life. That feeling of being out of control is harmful to your health at the cellular degree. One specifically frequent type of stress is work-related abuse. Your manager gives you much more work than you can realistically deal with. You make a small mistake and get chewed out. You get blamed for something that is not your fault. Subjecting yourself to this type of atmosphere will probably takes years off of your lifetime. If you believe in terms of the 5-to-1 ratio, ideally it’ll sink in to consider simply how much damage you may well be doing to yourself to put up with such an atmosphere, harm that could be physically assessed in your cells. Do you actually want to trade 5 days of life for every one extremely stressful day? Learning how to manage our stress successfully starts with our desire to take a look at ourselves. People and situations contribute to stress, indeed. However, the events that affect people from the outside are beyond their control. When we find the causes of our stress and understand why it is so stressful, we can work on managing the stress more successfully. Here is a very informative video from a psychologist who gives some very helpful advice about stress management activities. We should take the time to manage the stress. Because the time that it takes is more than repaid in increased efficiency and happiness. There is no push button technique or activity that makes all stress disappear. Using our own judgement and intuition to decide which technique to use is the best path to go. We should not fear from learning different things before deciding what is best for us. Once we have found some strategies that work, we need to commit ourselves to practicing them. Exercising is one of the best -may be the best- ways to manage stress. The type of the exercise or the amount of time spent exercising is not as important as if we can make exercise a regular part of our lives. Jogging or walking is the perfect exercise for many people. Swimming and bicycling are other popular types of aerobic exercises. It is important choose an exercise that is enjoyable for us. Keep in mind that the more enjoyable it is, the more likely an exercise program will succeed. It is always difficult for us to change our long-standing habits. However, change is possible… Also we must know that the most difficult change usually results in the biggest benefit. Therefore, we should try to reduce stress to enhance our health, and thus happiness, for years. There is no single right strategy for everyone. Each of us must look at ourselves and decide the stress management activity that makes the most sense. But to make a difference, we should commit ourselves to making the change.